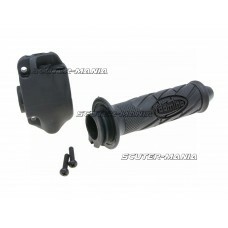 Stylish twist grip set from Domino as spare parts or for retrofotting to ATVs. The cable must be adj.. 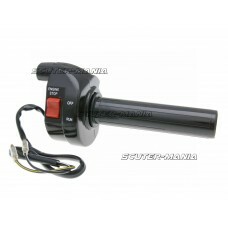 Stylish throttle control and tube set from Domino suitable for various scooters, mopeds and ATV. 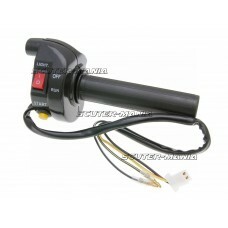 The..
Universal quick-action throttle for all scooters, quads ATVs etc. 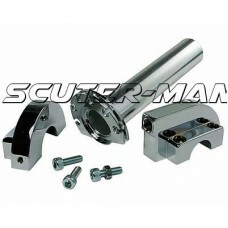 with 22mm diameter handle bars. Ge..
Universal twist grip with light on/off and start button for scooters with electric starters. 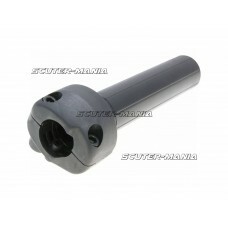 A suita..
Universal twist grip with engine on/off (kill switch). 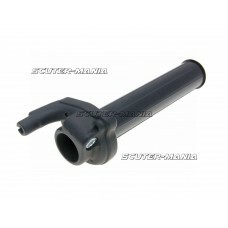 A suitable bowden cable must be installed. We.. 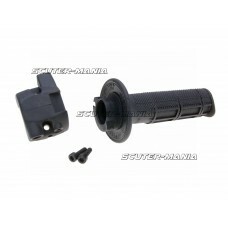 Twist grip with grip rubber as an OEM replacement for various MBK Booster Spirit, Evolis, Fizz, Fort.. 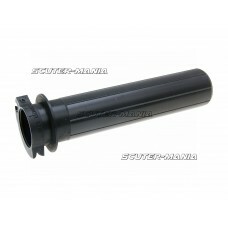 Twist grip with grip rubber as an OEM replacement for various Motorhispania RX Super Racing, Peugeot.. 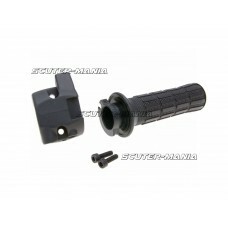 Twist grip with grip rubber as an OEM replacement for various Rieju MRX, SMX, RRX RRX Spike geared m.. The following description is generated automatically by Google Translation Service. Simple rotary ga.. Basic twist grip for use on or conversion on ATVs. A suitable bowden cable must be installed. We rec.. 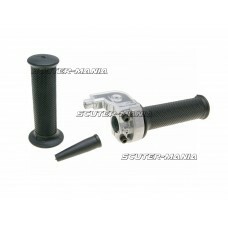 Twist grip as an OEM replacement for various Aprilia Scarabeo, Rally, Beta ARK, Derbi, Motorhispania.. 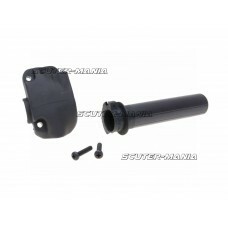 Twist grip as replacement part for many scooters and geared mopeds from Aprilia, Derbi, Italjet, Mal.. 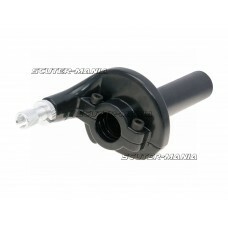 Twist grip as an OEM replacement for various Aprilia Leonardo, MBK Ovetto, Italjet Torpedo, Piaggio .. 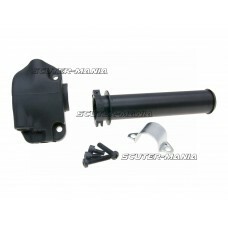 Twist grip as an OEM replacement for various Aprilia, Beta, Cagiva, Derbi Italjet and MH-Motorhispan.. 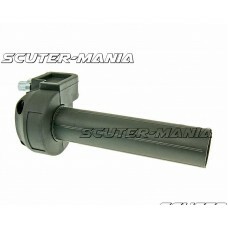 Twist grip as an OEM replacement for various Gilera Runner, Piaggio MP3, X8, X9, XEvo, Beverly Vespa..